Spain is currently in third place on Unesco for its heritage with 45 world heritage sites and with a further 11 declared as intangible heritage. These include 15 unique cities that belong to humanity due their architectural, culture and art values. These cities offer an amazing and luxurious artistic and architectural of precious value for the inhabitants and visitors. The old quarter of this city is made up from the house where Cervantes a very famous author was born back in 16th century, which is a magnificent example of the Castilian housing back in that time. The oldest part of this city witnessed the amazing coexistence of the Muslim, Jewish and Christian cultures all over the city. 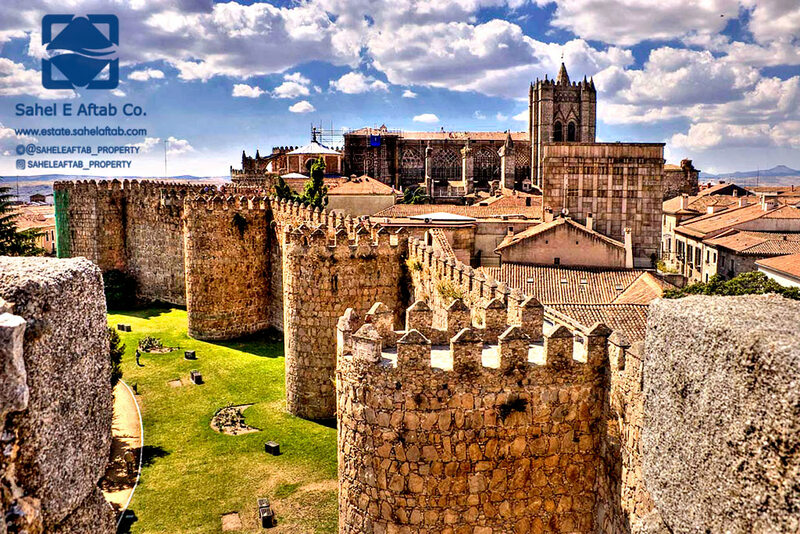 Avila is a gorgeous historic cit with its famous medieval walls,(the best preserved in EU) with a fortified area of around 2 km , a further 87 towers and 9 gates . On the other hand, Avila´s cathedral which is another amazing heritage site of Avila which is the oldest Gothic cathedral in Spain as it was built in 12th century. Another valuable site in Spain is Caceres with Christ´s Arch or River gate which the only remaining roman gateway that exists. It also boasts the biggest and best conserved medieval quarter in EU. Andalusian city of Cordoba is one of the most important western historic cities . Mosque catedral is a good example of caliph´s art in that, Although its been combined with some architectural styles 19th centuries . Cuenca monumental is a cit set in steep water with hanging houses around the city which is one of its main attractions .Unesco declared Cuenca as a world heritage site located in castle and Leon . It also has the first building to be build following Santa Maria La mayor cathedral with the romance gothic style back in those days . The amazing walls surrounding Ibiza called Salt Vila was the reason that it went on Unesco´s world heritage sites list in 1999 .The walls are known as the greatest preserved coastal forts in the Mediterranean .Other interesting sites of Ibiza we can include are :archaeological of the Phoenician settlement of Sa Caleta , Punic necropolis of Puig del Molins (the ancient city of the dead) and the marine barriers of posidonia which are other must see places in Ibiza . Putting Ibiza´s sites away , it has an absolutely beautiful se surrounding the island which is the reason why many people sail to this particular city in order to enjoy not just its historic sites but the amazing views of its sea and its surroundings also . Capital of extremedura , Merida also plays a big role in Spains heritage attractions . Such as its Roman theatre and amphitheatre which even up to today is in use to host different events , And the stunning temples on the other hand which gives a great value to Merida . The Baroque style plaza mayor is one of the most beautiful places in the whole Spain , that is suited in Salamanca , Adding its university which was found in 1254 which is still in use today making it one of the oldest universities . San Cristobal is another amazing Spains destination which is located on Tenerife , in Canary Islands , One of the most visited and beautiful destination in Spain . The type of architecture used in San Cristobal de la Laguna is similar to Villages instructed in America . Some of the cities most valuable artistic treasures include : church cathedral built in 1913 , And the former convent of San Francisco where the breathtaking Santisimo Cristo de la laguna statue lies . The old quarter of Santiago de Compostela are the oldest heritage of humanity in the including its cathedral which can still be visited, The cathedral was an amazing art combined; Gothic, Renaissance, Baroque and Neoclassic architecture styles which gives the construction an amazing value. Segovia is surrounded with Roman aqueduct presides over the city. its Romanian genius work of engineering has made it a unique monument in the world. Tarragona was the first roman military enclave outside Italy, which is why most of its monuments are from the precious Romanian architectures. Also its amphitheater which was built in second century hat is one of its treasure in Tarragona. Toledo known as the second Rome is the where the famous Spanish painter el Greco made some of his best works. It’s a charming city as the combination of its buildings, streets and bridges show a great example of the coexistence living Christians back in the day . The renaissance buildings of Andres de Vandelvira to one of today’s tourist stops. It’s amazing renaissance architecture can be admired in Plaza Vazquez de Molina and its surroundings.